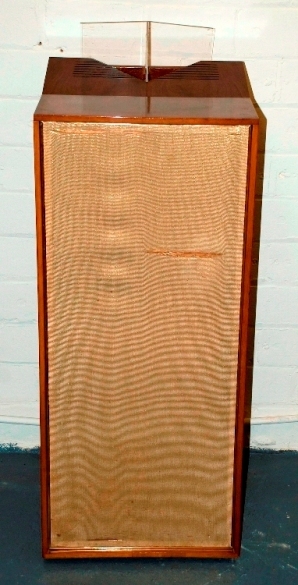 When the Lowther Acousta - Twin was introduced in 1959 it was claimed to be "the only design of its kind in the world". It is a single cabinet comprising two separate horns, which can be used for monaural, monophonic and stereophonic reporoduction. 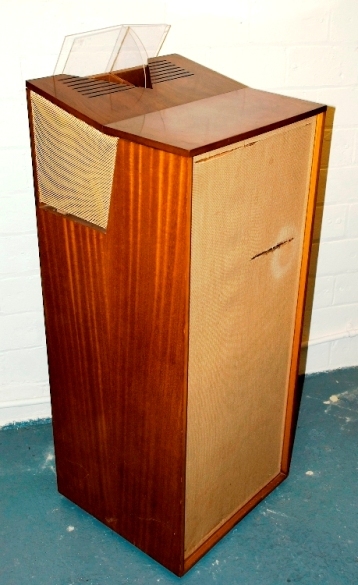 The cabinet was fitted with two PM6A drive units as standard, but when fitted with the superior PM7As it was marketed as the "Acousta Super-Twin". PM2A drive units could be fitted with the use of a special mounting. 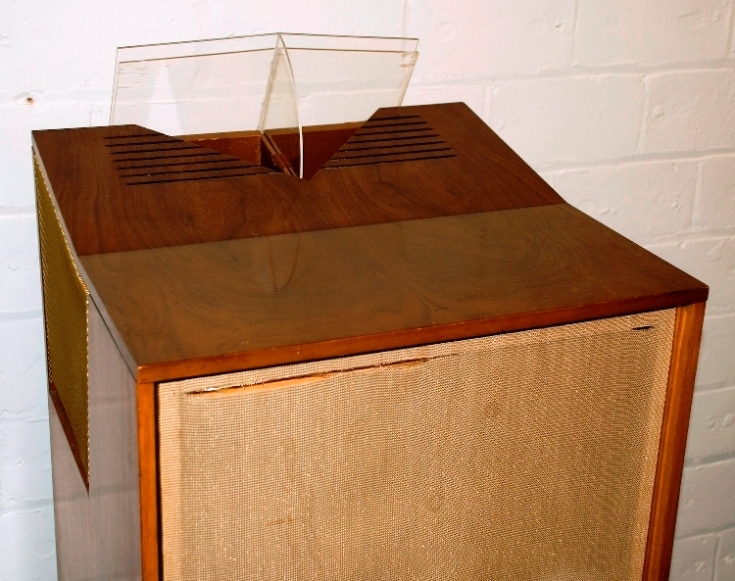 The perspex top deflector and side wings can be adjusted to suit the placement of the speaker within the room. The cabinet was available in a variety of finishes including walnut, sapele, oak, tola, teak and natural. Also see Acousta Twin speakers owned by Carlo Morsiani and Masashi Matsushita.